We have done all the work, all you need to do is provide your logo and contact information to personalise them. We will then give you the file which can be emailed to clients or printed. Put it on your website to attract new clients or educate existing ones. We can even arrange the printing for you. You only pay for the PDF once, then you can print as many as you like, whenever you like. Unless you deal with finance and property on a regular basis, home buying can be an overwhelming experience. 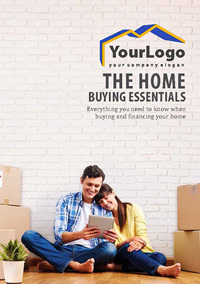 We have developed this booklet to help your clients through the process. There are so many considerations when you are buying a property, and let’s face it – most people don’t do it very often! We have done the work, all you need to do is provide your logo and contact information to personalise the booklet. Once the personalisation is complete, we provide you with the finished high resolution file to take to your printer yourself, allowing you the freedom to print a few or as many as you need OR allow us to arrange the printing for you. We have managed to negotiate discounted prices for you. You only pay for the booklet once, there are no ongoing costs. You own the booklet. We can also supply it in an e-Booklet format with page turning functionality for your website. Email your clients the link or send them a PDF. We understand that you want to help your clients invest in property. That is why we have developed a professional guide for you to brand as your own. It covers all you need to know when buying and financing an investment property. A must have for serious finance businesses. Once the personalisation is complete, we provide you with the finished high resolution file to take to your printer yourself, allowing you the freedom to print a few or as many as you need, OR allow us to arrange the printing for you. We have managed to negotiate discounted prices for you. 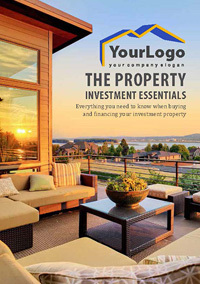 The property investment essentials booklets come with additional branded fact sheets.